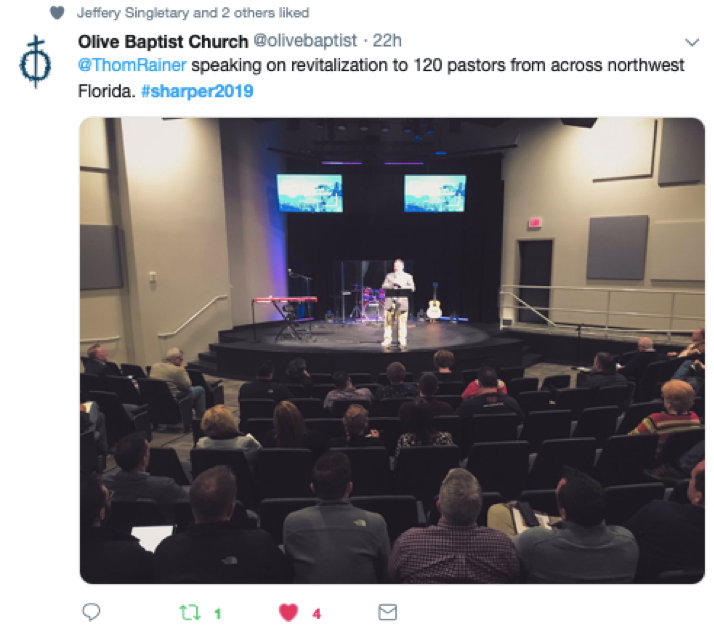 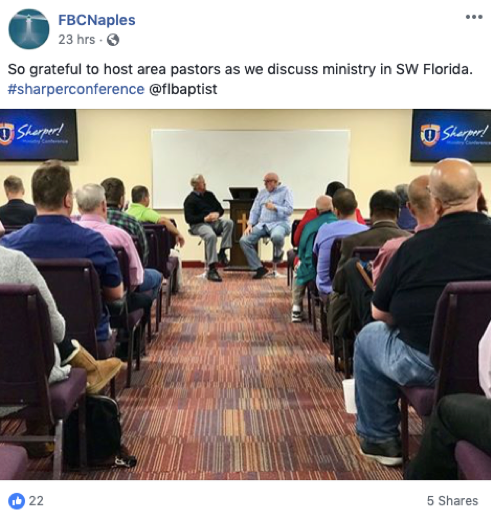 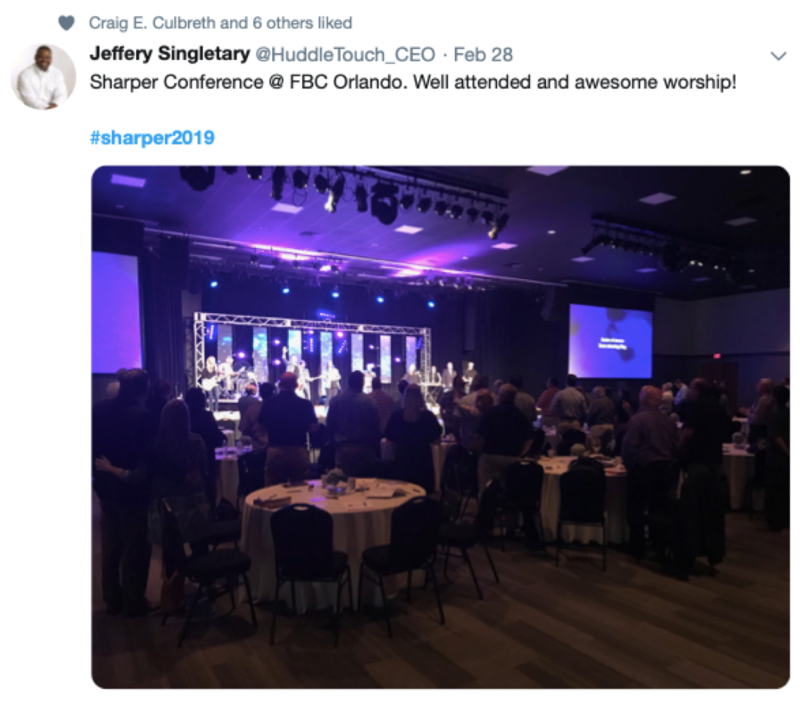 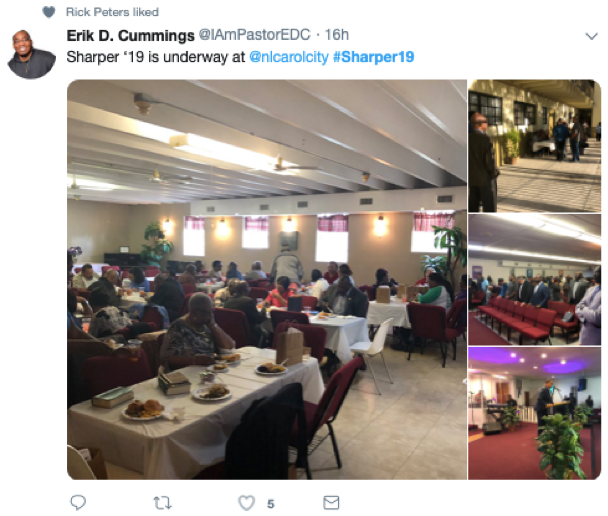 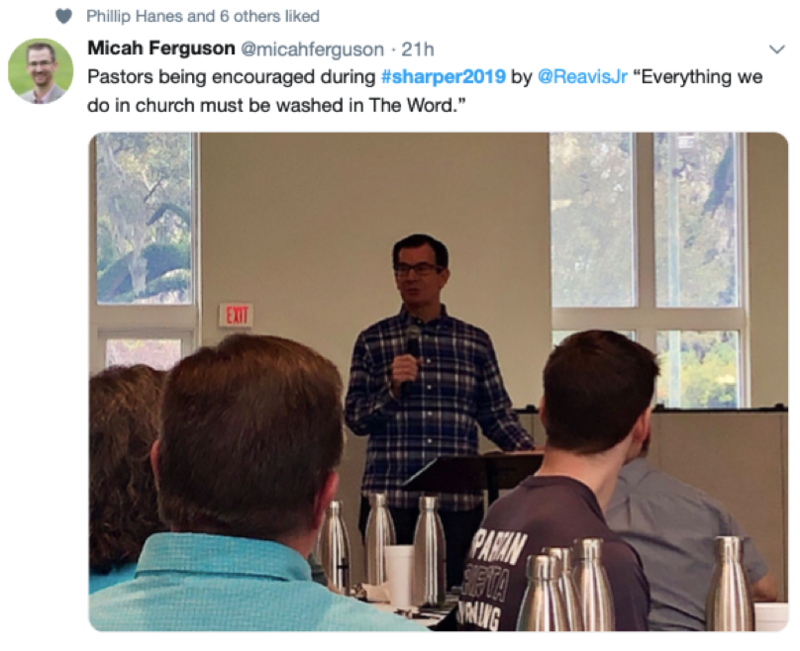 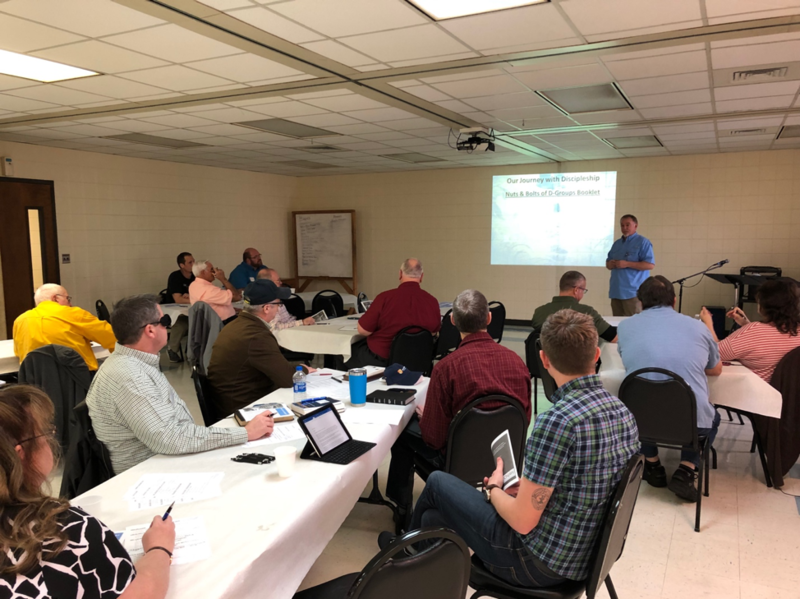 Florida Baptist pastors and church leaders gathered at five different churches starting early on Feb. 28th to get #Sharper at the Florida Baptist Convention’s (FBC) Sharper! 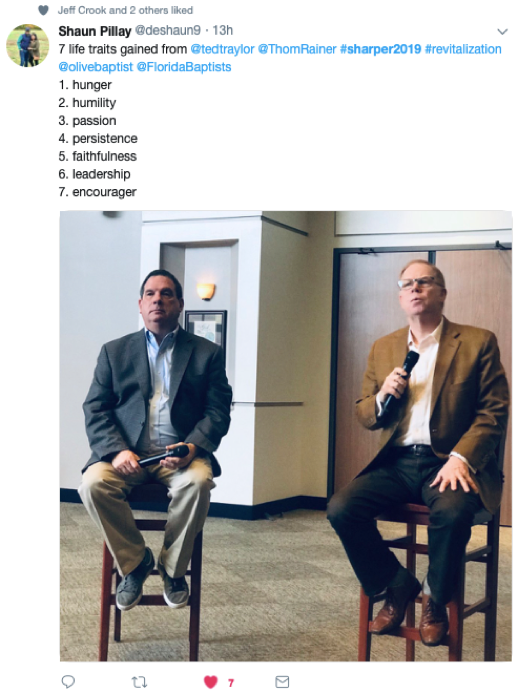 Ministry Conferences. 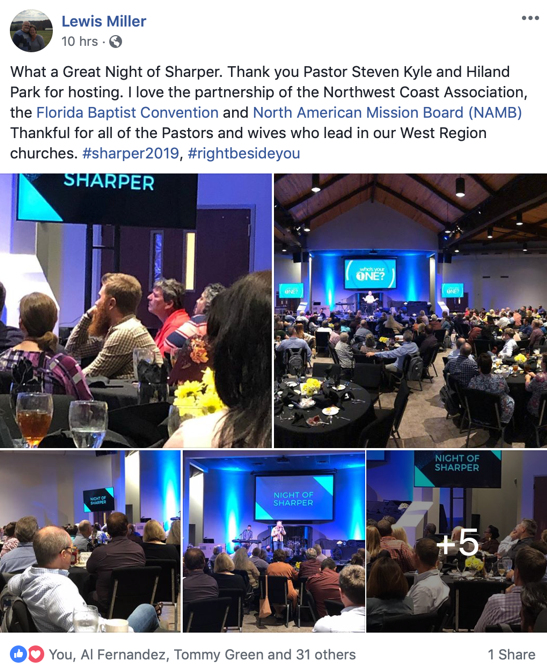 Pastors, staff and lay leaders heard from speakers like Michael Orr, pastor of First Baptist Church of Chipley; Alan Brumback, pastor of Central Baptist Sanford; Tim O’Carroll of Westside Church in Ft. Pierce; Herb Reavis, of North Jacksonville Baptist Church; David Uth of First Baptist Church Orlando and Troy Grambling of Potential Church in Cooper City among others. 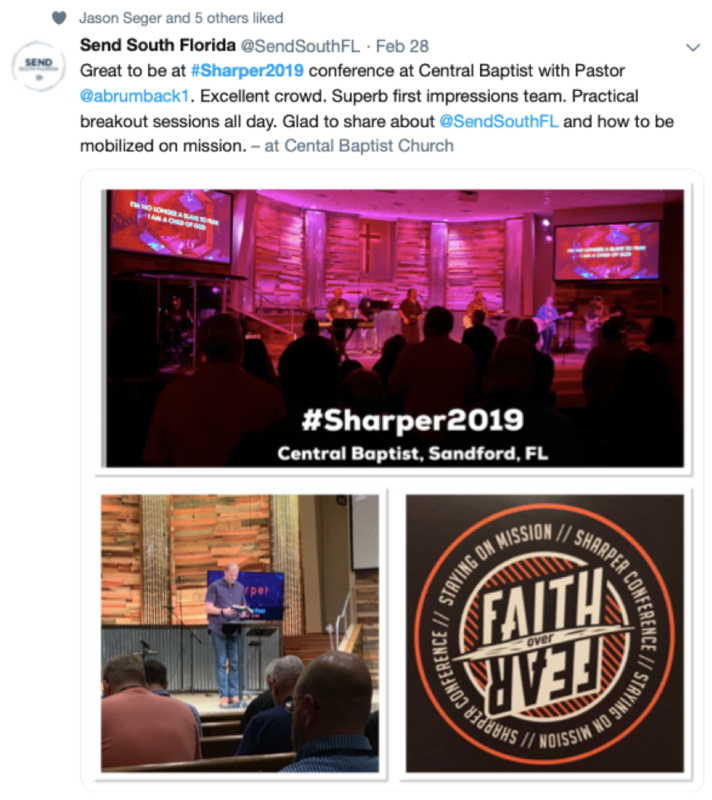 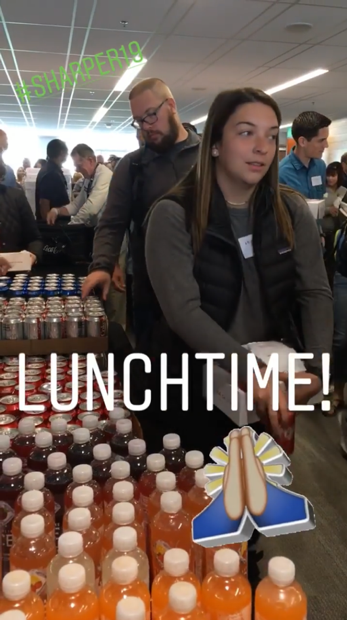 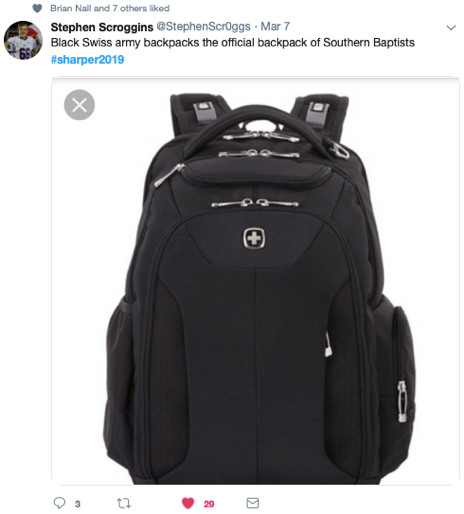 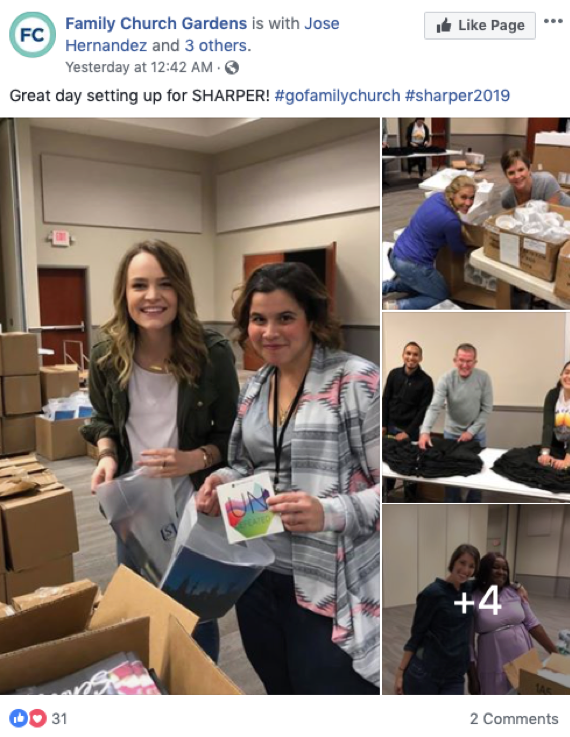 Participants lit up Twitter, Instagram and Facebook with #Sharper2019 posts. 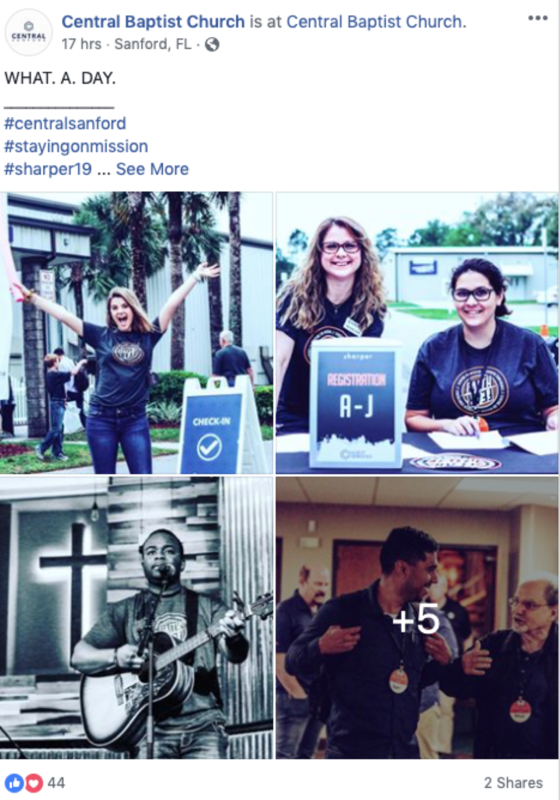 Check out the social media highlights below! 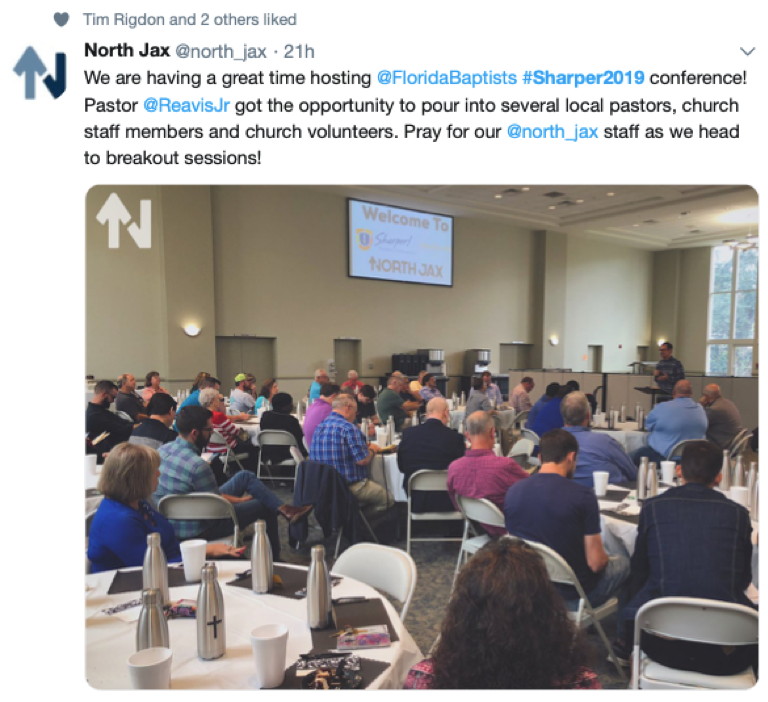 Thank you pastors, churches and volunteers! 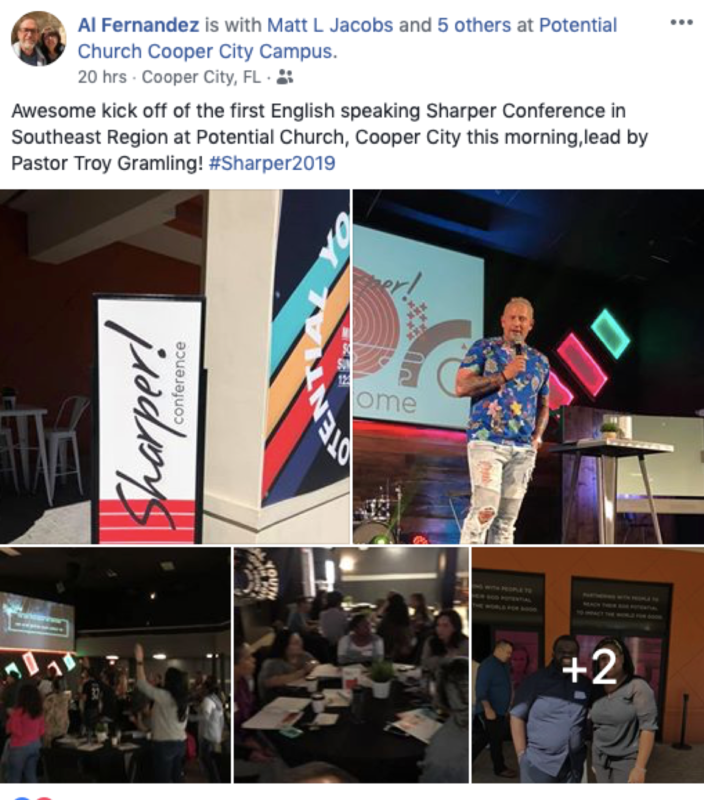 Still more to come so stay tuned! 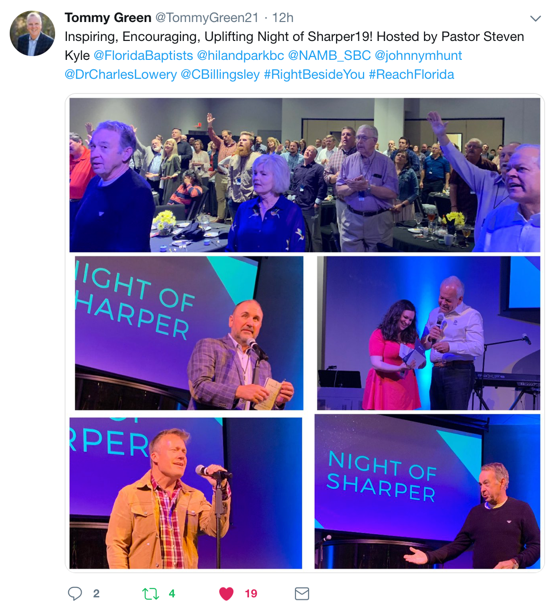 We’ll add your posts to this story after the Sharper! 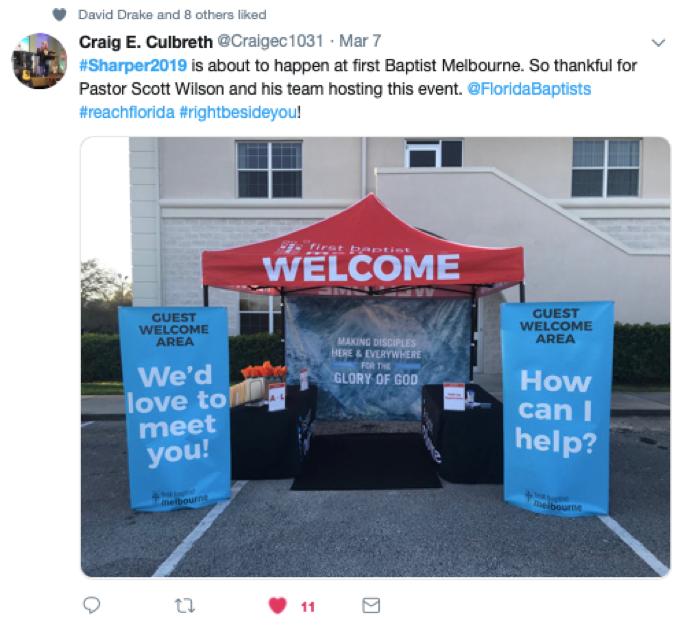 events on March 7th and 14th. 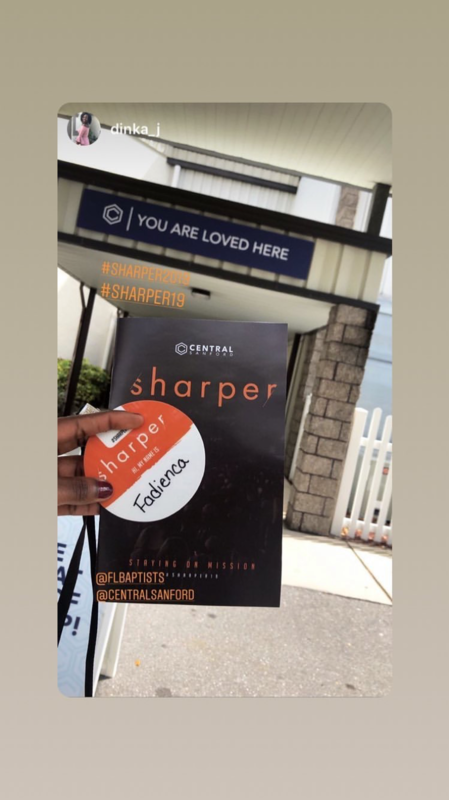 Remember to post with #Sharper2019! 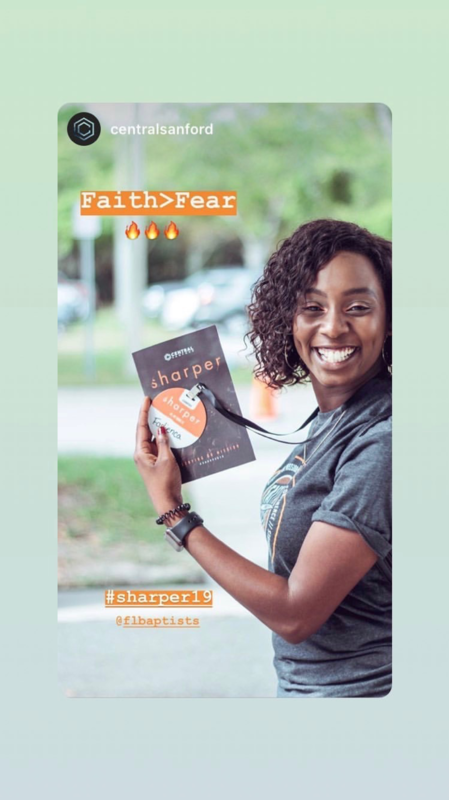 The third #Sharper2019! 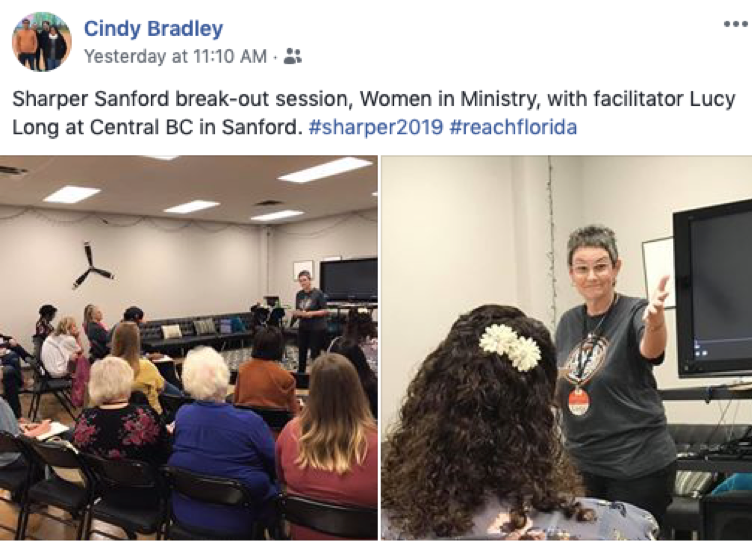 Ministry Conference day went into full swing Thursday March 7that eight different locations across Florida. 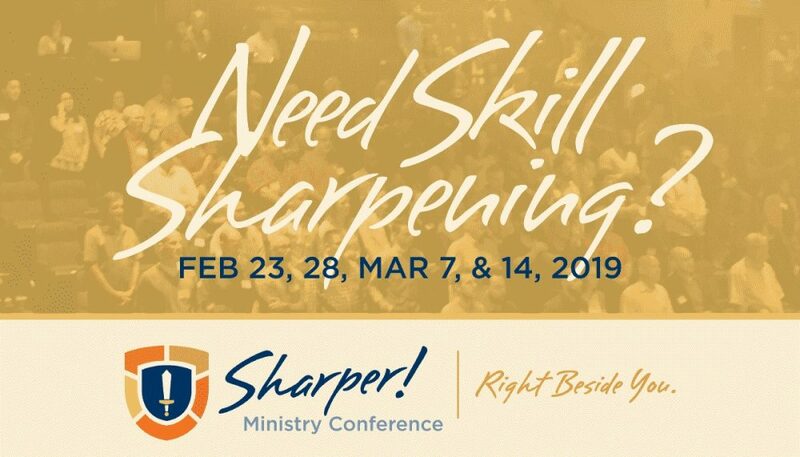 Each conference was an opportunity for pastors and church leaders to sharpen their skills for the ministries and fellowship. 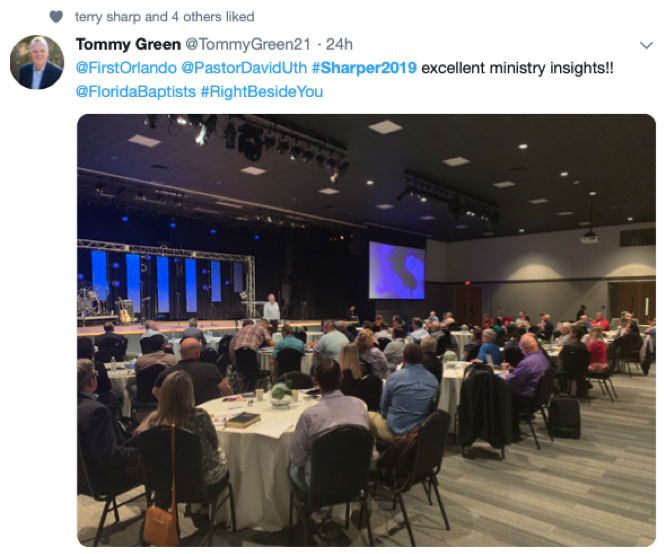 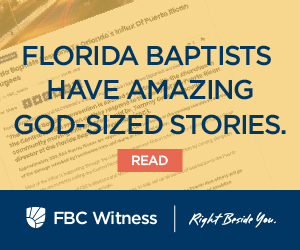 Attendees heard from speakers like Ted Traylor, pastor of Olive Baptist; Ronny Raines, of First Baptist Bradfordville; David Whitten, of FishHawk Fellowship; Hayes Wicker of First Baptist Naples; Jimmy Scroggins, of Family Church and Erik Cummings, pastor of New Life Baptist and president of the 2019 Florida Baptist State Convention. 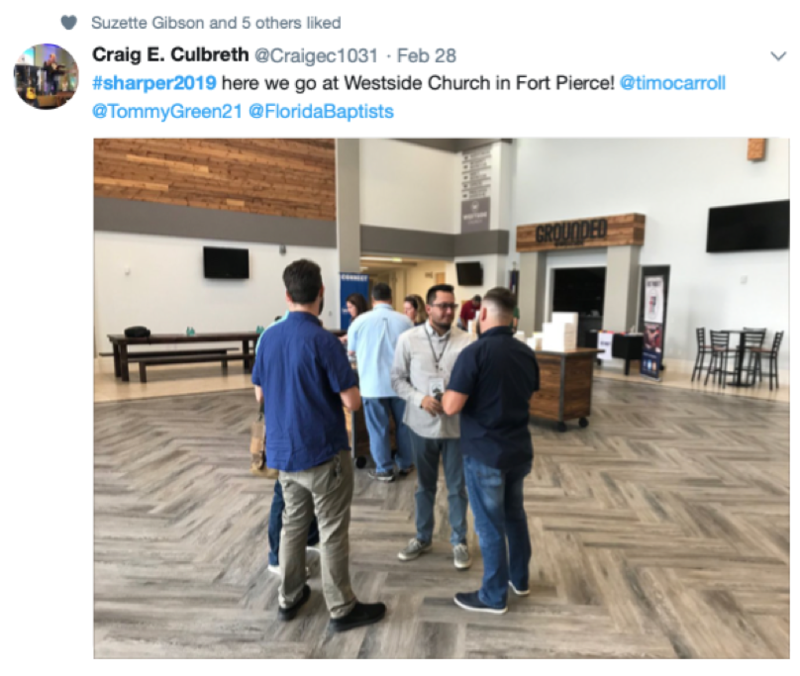 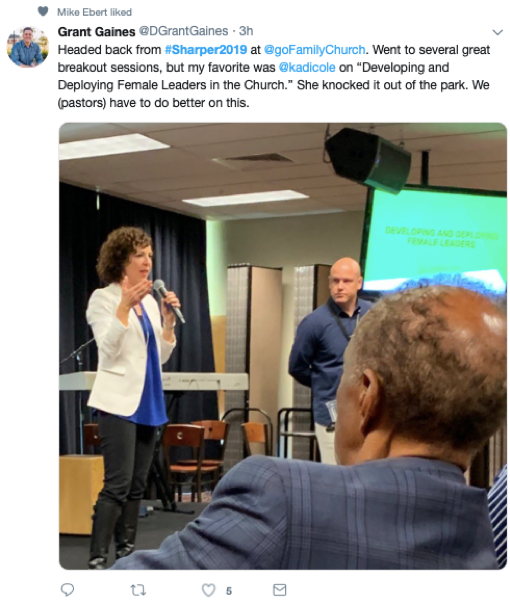 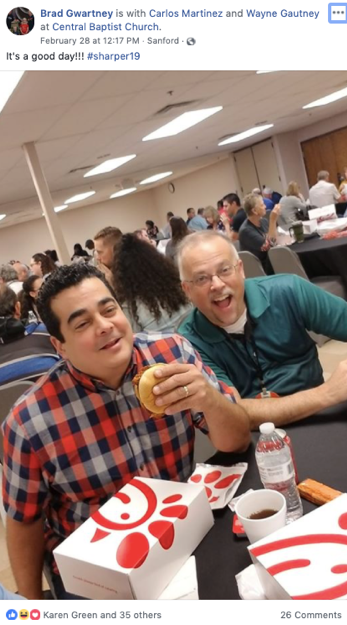 As pastors and church leaders learned and sharpened each other, they took to social media to share their experiences. 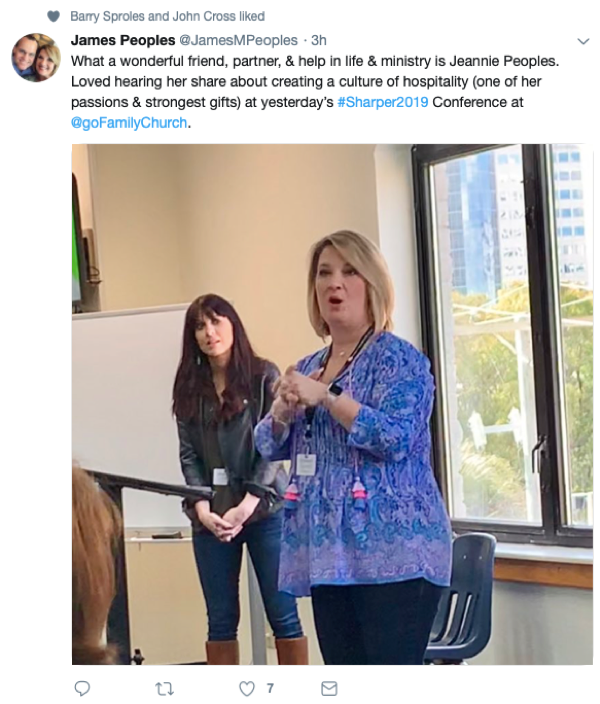 See what they shared in the highlights below! 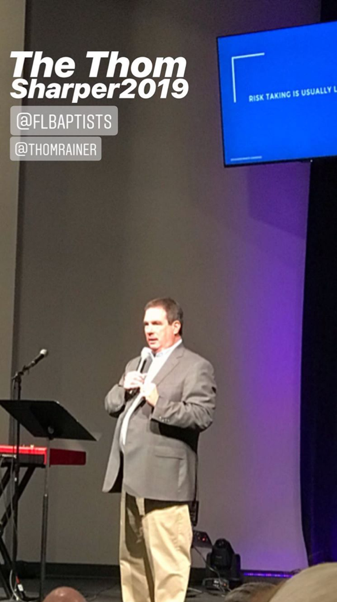 Still more to come so stay tuned! 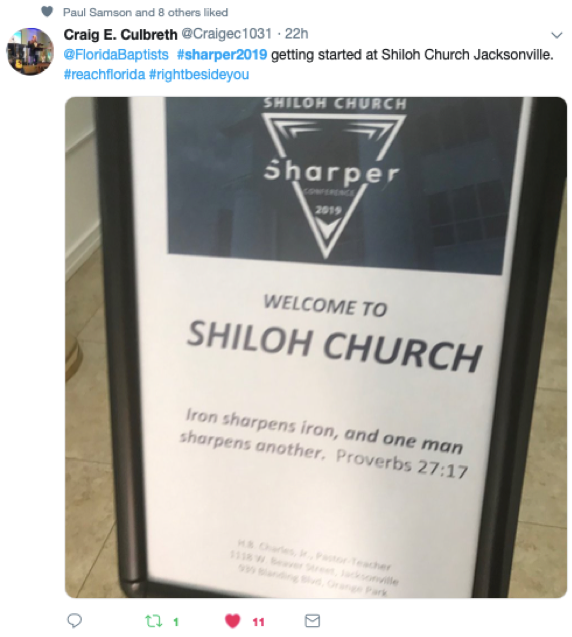 We’ll add your posts to this story after the Sharper! 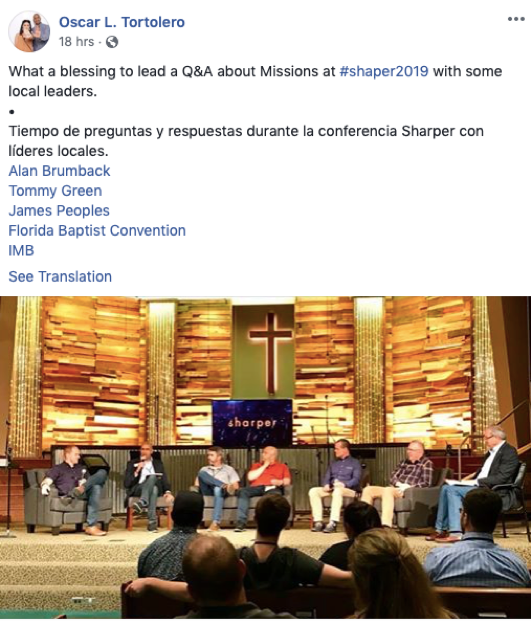 events on March 14th. 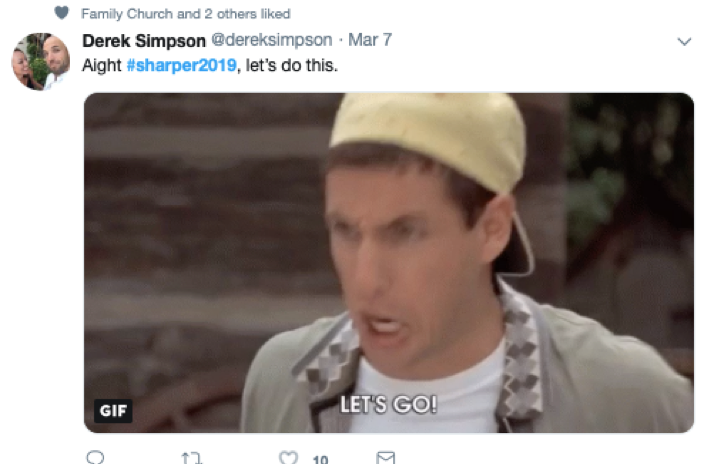 Remember to post with #Sharper2019! 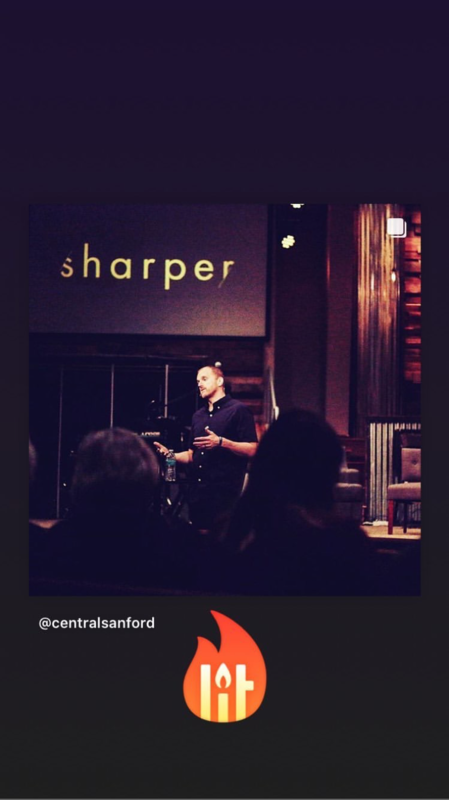 Sharper! 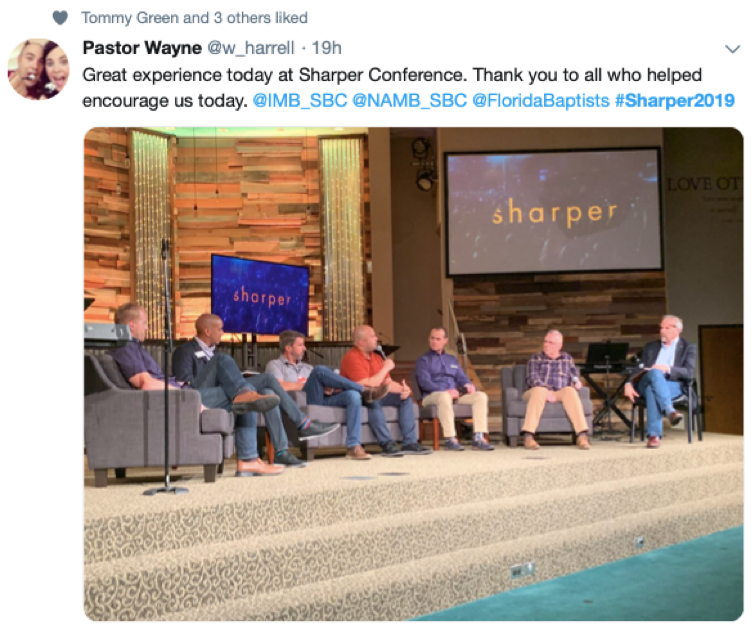 Ministry Conferences of the Florida Baptist Convention (FBC) drew to a close on March 14that Hiland Park Baptist Church in Panama City. 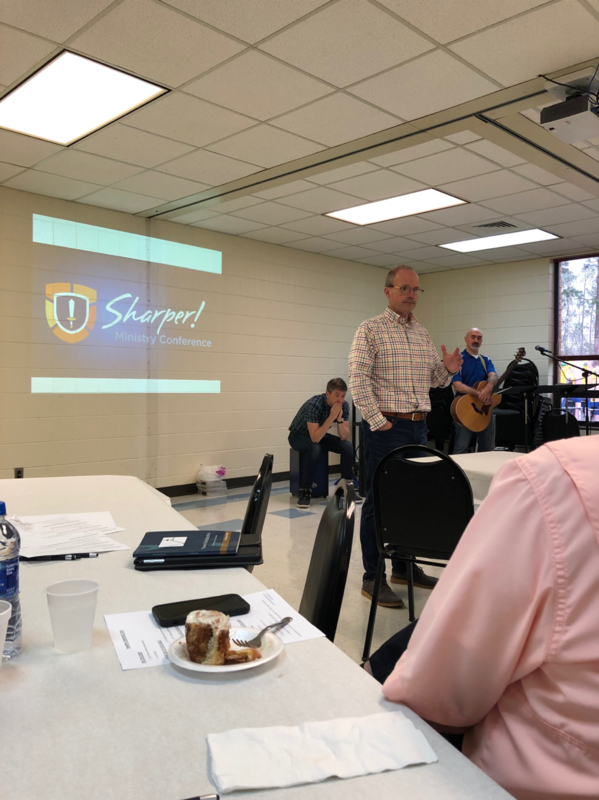 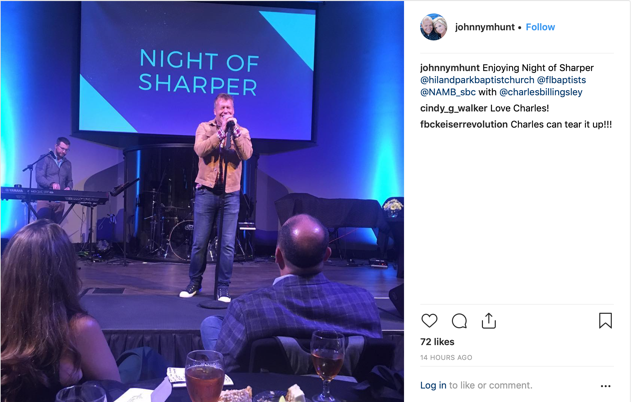 Approximately 100 pastors and ministry leaders gathered Thursday night to hear from Johnny Hunt, Charles Lowery, and FBC Executive Director-Treasurer Tommy Green with worship by Charles Billingsley. 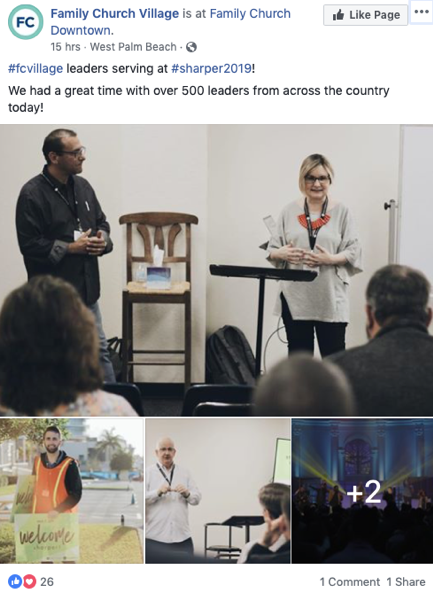 These are the social media highlights!